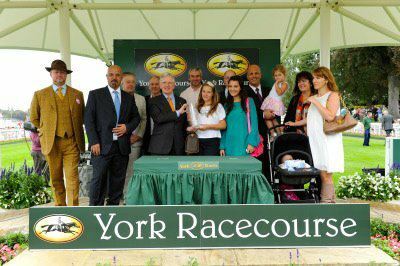 Dr Marwan Koukash has become a familiar face of British horse racing. A man known for his approachable style he is a favourite with TV pundits and viewers alike. With many horses named after his children, this family man enjoys nothing better than a day at his beloved Chester where he has seen winners including a Heritage Handicap. With what seems to be an unending string of horses, he has proven a hit with the working class race fan and a financial godsend to trainers across the country. With an equal measure of success & charm, this enigmatic businessman has built a racing empire from humble beginnings. Without question he has made an impact within the racing industry since dipping his toe into ownership in 2007. In those early days, he had just three horses in training with Ian Williams. His first winner was a 0-60 handicapper called Terminate. In 2008 his string increased to 20 horses. The majority trained by Williams. Bilwark proved most notable winning the Chester Cup Heritage Handicap. However, Dr Marwan Koukash clearly had his sights set on other talented trainers with Patrick Haslam, David Simcock, Charlie Longsdon and David Nicholls fielding horses. By 2009 he had over 50 horses in training. Layla's Hero proved his most talented two-year-old with David Nicholls winning twice at Listed class. Along with his increased string came more significant trainers including Bryan Smart, Kevin Ryan, Richard Fahey, Jane Chapple-Hyam & the late Terry Mills. 2010 saw around 70 horses with new training establishments of Mark Johnston, Michael Quinlan & David Wachman joining the ranks. Redford won the Ayr Gold Cup, then the Ascot Heritage Handicap. His total prize earning where nearly £200,000. Unsurprisingly, the following year saw horse numbers rise to about 85. Never Can Tell (Jamie Osborne), Masamah & Our Jonathan (Kevnin Ryan) heralded a successful season with 74 winner from 500 runners. New trainers included Mick Channon, John Quinn, Michael Bell, Ralph Beckett, Tom Dascombe, Gay Keleway & Paul Cole. He narrowly missed total win prize money of 1 million pounds. Last year Dr Marwan Koukash had a record breaking season on many fronts. He owns more than 100 horses which are shared between almost 20 trainers. He achieved 101 winner from 714 runners with a win rate of 14%. Although backing all of his runners would have returned an £80 loss to a £1 stake. For the first time he topped the million pound mark for total prize winnings in a single year.